Dr. M. A. Khan was born in the city of joy, Kolkata, India. He received his M.Sc degree in Pure Mathematics from University of Calcutta, ranking first class first. He completed his Ph.D from IIT Kanpur. 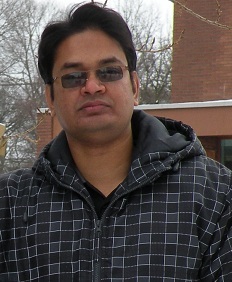 After completing his Ph.D work, he joined University of Amsterdam, The Netherlands, as a visiting researcher, and worked there from September 2009 to Aug 2010. Before joining IIT Indore, he worked as a Postdoctoral Fellow at The Institute of Mathematical Sciences (IMSc), Chennai, India from November 2010 to March 2011 and as Marie-Curie Fellow at Fraunhofer SIT, Darmstadt, Germany from May 2011 to April 2012.